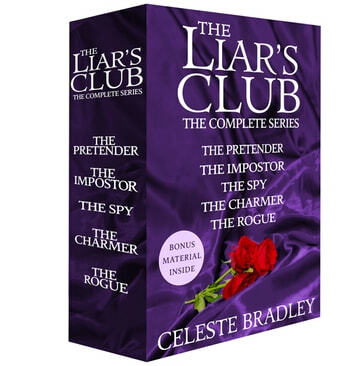 The Liar's Club, the Complete Series | Rakuten Kobo. Oppure ottienilo con 13200 Kobo Super Point! Clara is positive the man she meets in a London ballroom is not who he says he is, and she is determined to reveal an imposter's identity-and that means doing some undercover work herself. But pretending to be someone you're not has a funny way of making a woman do things she wouldn't ordinarily dream of-even if it drives her straight into the arms of her devilishly handsome adversary! Jane can barely wait for the Season to end-until she meets Ethan Damont. But just as Jane finds herself overcome by her desire for Ethan, he takes her captive. Suddenly, she is pulled into a dangerous world where it's impossible to know who is friend-and who is foe. Will Ethan prove to be her undoing...or the love she has always longed for?